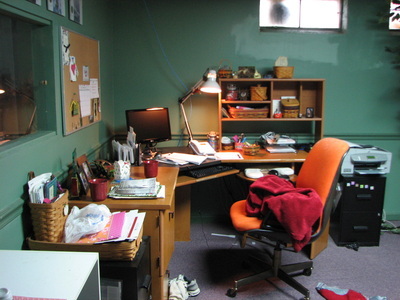 ​Whether your office is in you﻿r home or th﻿e big city don't let disorganization keep you from reaching your goals. With the right office organization tips and solutions, you'll do more than improve the way your workspace looks. You can actually increase your productivity and improve the efficiency with which you complete tasks, while also decreasing your hassle and stress. Office and file organization can help you reach your professional goals and improve the quality of your work life. 'Leen on Me to get to the root of the problem and put you on the path to success! 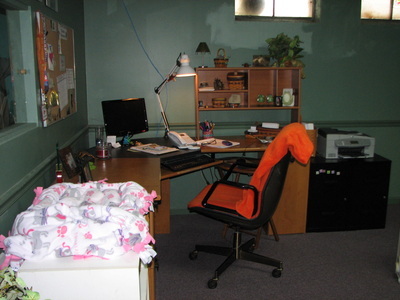 Located in Chardon, 'Leen On Me Organizing provides office organization throughout northeast Ohio, including Cleveland, Concord, Hudson, Gates Mills, Pepper Pike, Chagrin Falls, Waite Hill, Kirtland Hills, and more. ​Call 'Leen On Me Organizing today at 216.287.2094 and I'll provide you with more information on how I can help you with office organization, and all the many ways that will provide you with huge, far-reaching benefits. Eileen Adkins is, without a doubt, a SUPER PRO at organizing offices and getting people motivated to keep going! The best thing I ever did for myself was hire her to help me clean out 13 years of history and reorganize for my expanding business. The most surprising part was waking up at 4 a.m. the next morning with a clear head and refreshed enthusiasm to work. The creativity is back and I feel great each time I walk into my home office. The biggest bonus is my drive to keep on going through the rest of my house! Thank you, thank you, thank you Eileen, I am a changed woman! 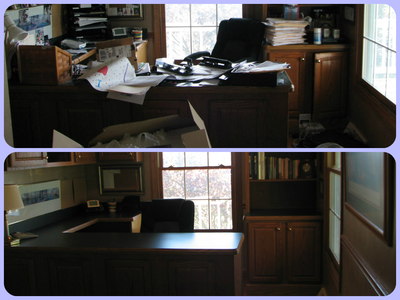 As a business owner working from my home, I found myself transforming my finished basement into my “office central” where I kept all the LOCLE Box gift products, packing supplies, electronic equipment, and masses of paperwork. While I was satisfied that I could work through my order process, I was frustrated with the amount of time it took me to fulfill just one order. There had to be a better way. The clutter made me feel uneasy and tense. That’s when I called ’Leen On Me Organizing. Eileen responded quickly and we set up an appointment within days. Initially, I was embarrassed with the “mess” I had created in my workroom so I spent some time tidying up before her arrival. 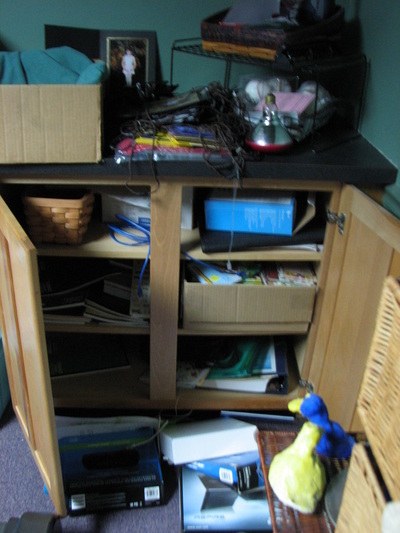 What I didn’t realize is that Eileen was so much more knowledgeable in the area of organizing that she looked deeper into the problem, not just the surface clutter. She was able to organize my space where I didn’t even know I needed help. She looked at my procedures and my order process and asked pertinent questions. Then she improved the workflow by rearranging my entire space. From moving my desks and work tables, shelves and file cabinets, my workspace now provides me with a more efficient way to pack each gift box with products and packing material at my fingertips at a faster rate and with greater accuracy. As for the 5 file cabinets full of paper, her simple questions gave me reason and permission to purge reducing the need for file storage from 5 cabinets to 3 with plenty of extra room. What I liked about Eileen is her direct, no nonsense approach to my space and questioning why was I doing what I was doing. She listened to me, understood my goals, and put her recommendations into action steps. She is professional and considerate of my ties to some of the items that probably should have been tossed but weren’t. She is not critical of my former operating methods, and she has an effective approach to suggest change. I am so pleased with Eileen’s step-by-step approach that I would certainly recommend her to other entrepreneurs who operate their businesses out of a room in their home. When family life became hectic with health issues and a multitude of obligations this room became the dumping ground for 'when I have time I will deal with it' items. 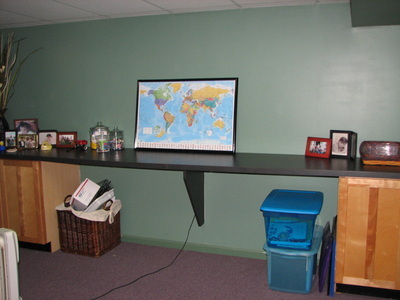 It didn't take long to fill up the desk top, then the chair, the closet, the floor. You get the picture! At some level, we've all been there. When the home owners decided it was time to take back the space we worked together to purge items no longer needed and set the office back up in a way the whole family could enjoy it. 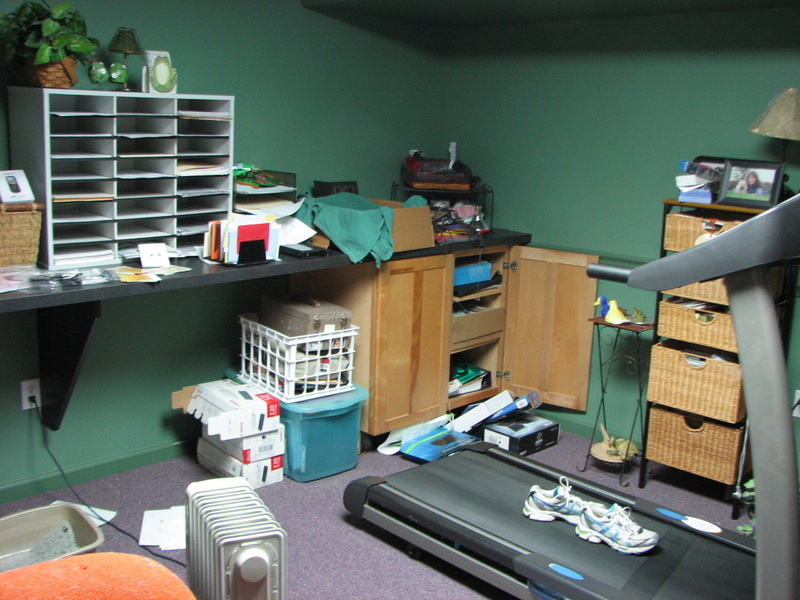 Designating areas for items such as memorabilia, crafts, or business supplies helps the family find things quicker and also return them to where they belong. This will save time and also keep the room from becoming a mess again. 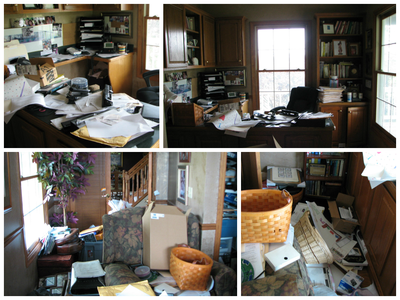 ﻿When this clients company went paperless she found the motivation to “get cleaned out”. In addition to purging old files, we moved out a few things that didn’t belong in her office to give her space a new feel. With the money saved using containers she already had, she plans on sprucing up her space even more with some new paint and a few added items. I work from home full time and my office was a MESS! 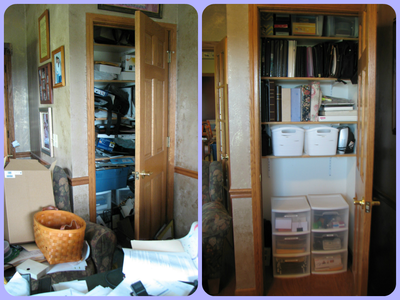 It was a combination of work necessities and personal belongings that had no place else to go in our small house. Since it’s in the basement, it was the perfect place to toss anything that didn’t have a place of its own and it was out of sight! I’m generally a pretty organized person but just couldn’t seem to tackle the disorganized mess that had accumulated. Just looking at it all caused me stress and anxiety and the task of getting it organized and in livable order seemed overwhelming and almost impossible. 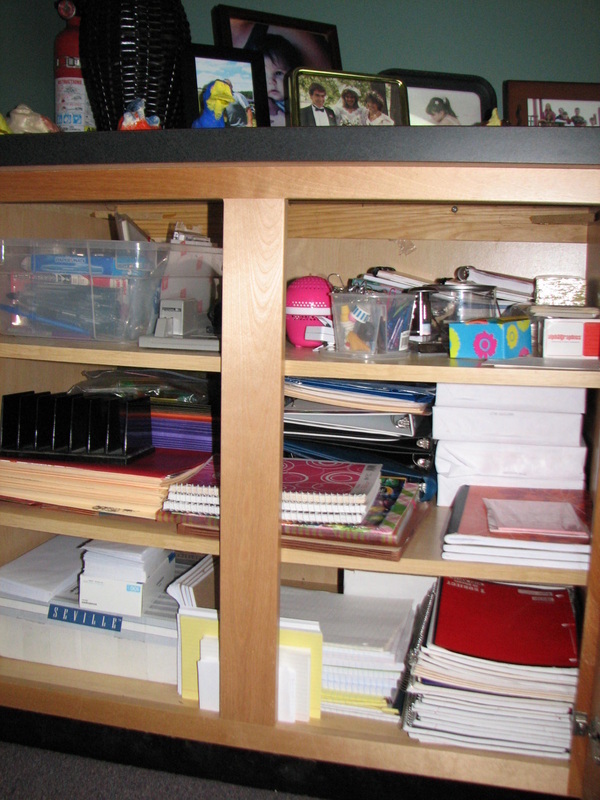 Eileen very quickly had everything separated, grouped, organized and in a place of its own! She had helpful and creative organizing ideas and listened to what I wanted before moving forward. She was a Godsend to me! We discussed my budget and she was able to accomplish what I wanted even though my budget was very limited.